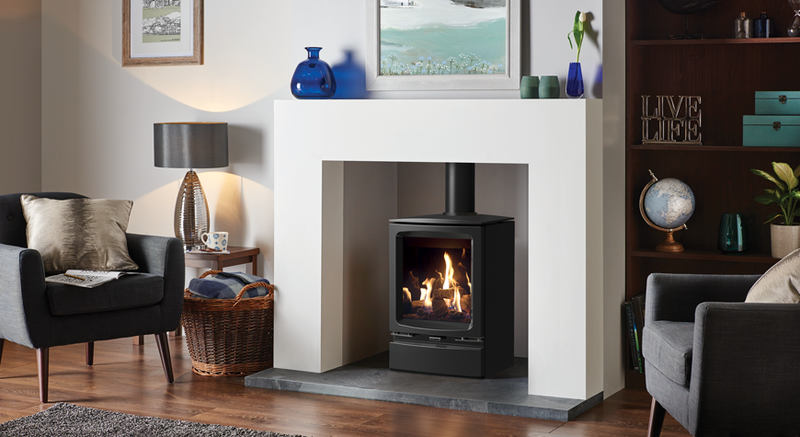 The versatile Gazco Vogue Midi T gas stove range offers stunning flames and a high efficiency heat output of up to 84% efficiency. 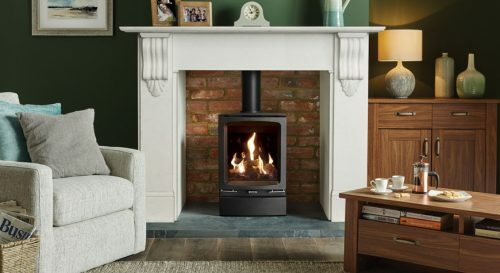 Taking the elegant styling of the smaller Midi range, the Midi T’s bevelled cast iron exterior encases a new taller firebox, which offers a three-sided view of the impressive flame visuals. Vogue Midi T Wall Mounted . 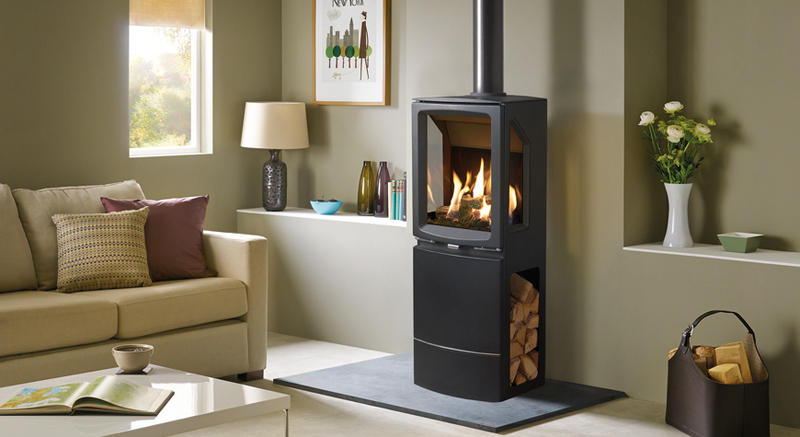 This contemporary stove is available as a Midline version with a taller base, which can be filled with logs to add to the wood fire aesthetic.For an alternative installation to the standard and Midline versions, the Gazco Midi T Wall Mounted gas stove makes for a strikingly contemporary statement. 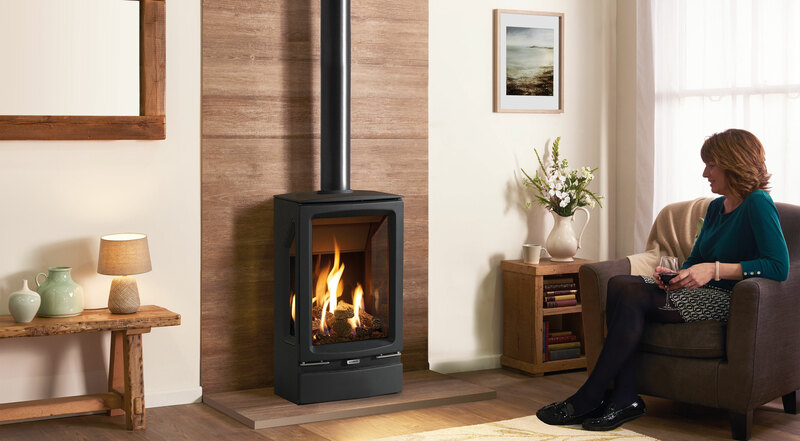 This floating installation can be either rear or top flued depending on your preferences and is available as a balanced flue model only. 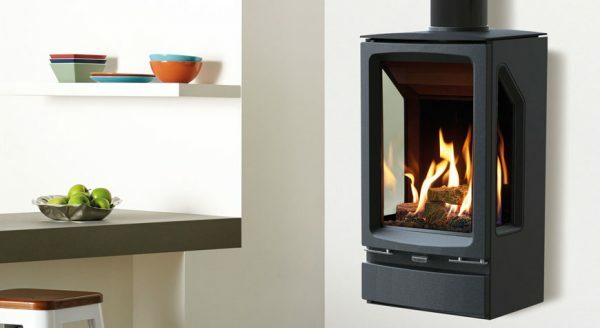 Creating breathtaking flame visuals, Vogue Gas stoves feature a highly realistic log bed and a polished EchoFlame Black Glass lining that provides a stunning, multi-sided reflection of the flames. 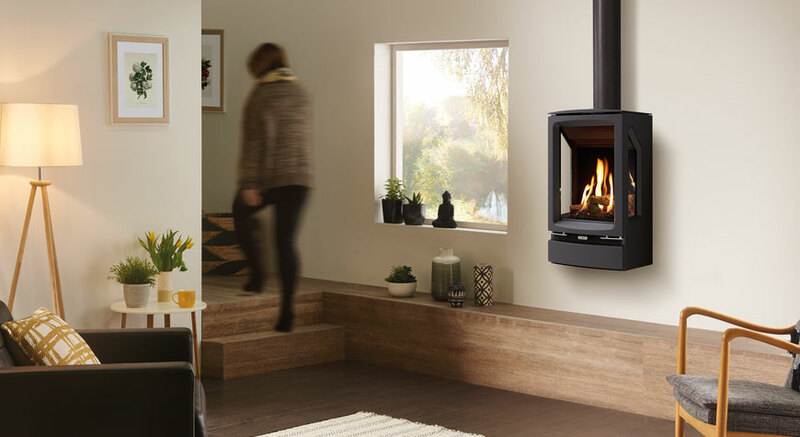 Designed with the very latest gas fire technology, these cutting edge stoves provide an ample 4.7kW of heat at 84% efficiency. 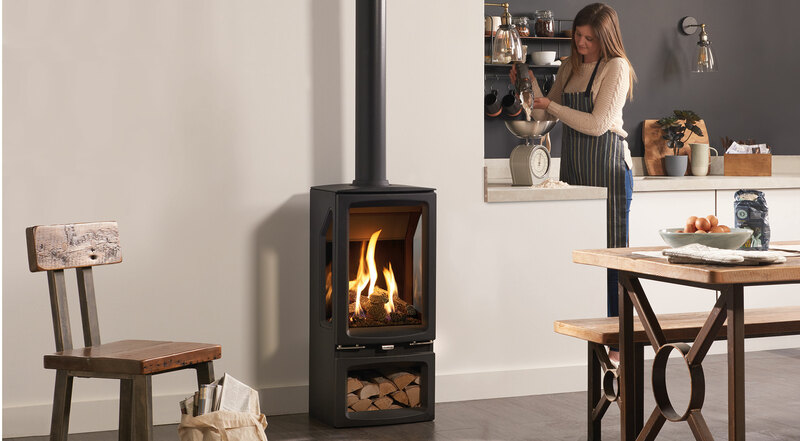 For greater convenience, these stylish stoves can be upgraded with a Programmable Thermostatic handset which allows you to pre-set the stove to provide heat at selected times or temperatures. 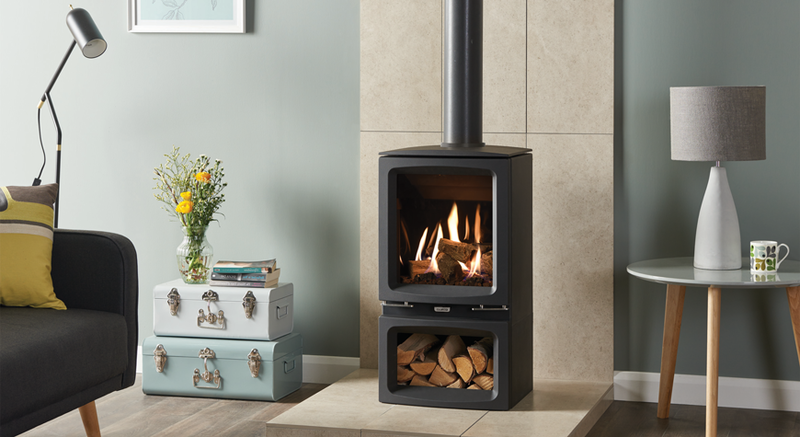 All Vogue Midi T models can be upgraded with a remote control allowing you to adjust the flames and heat without leaving your armchair. There is also the option of a Programmable Thermostatic handset, which allows you to preset your stove to turn on at specific times and temperatures.